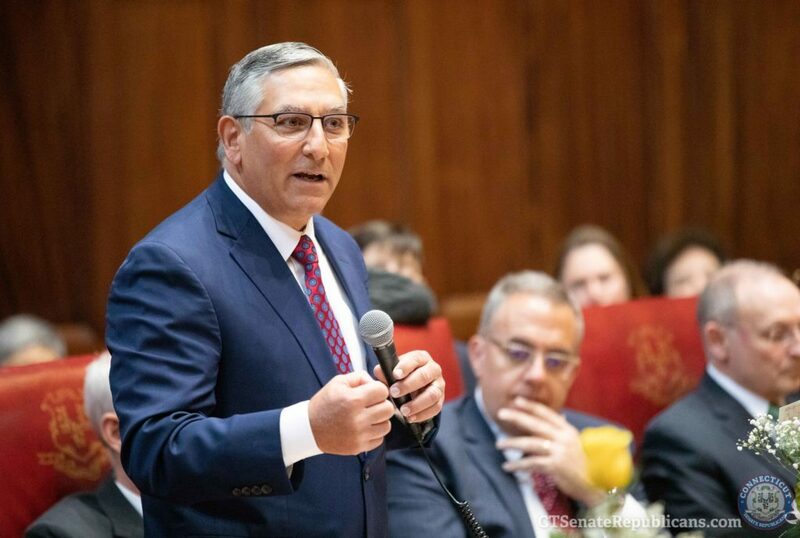 On the heels of a Yankee Institute story detailing Connecticut tolling consultant company CDM Smith’s relationship with an international tolling advocacy group, Senate Republican Leader Len Fasano issued a press release questioning the accuracy of the company’s tolling studies in other states. Fasano released information on tolling studies conducted by Wilbur Smith Associates in Indiana, South Carolina, California and Colorado that failed to meet revenue and traffic projections and resulted in losses for those states. Wilbur Smith Associates merged with CDM in 2012 to form CDM Smith, according to Fasano’s statement. CDM Smith has conducted several major tolls studies for Connecticut, estimating toll revenue, gantry location, operating costs, toll rates and the percentage of revenue which would come from out of state drivers. Those studies have been used by both the Dannel Malloy and Ned Lamont administration to push for electronic tolls on Connecticut’s highways. An April 8 article by Yankee Institute raised the question of “optimism bias” in tolling studies, particularly those conducted by companies that stand to profit from the tolls. CDM Smith has been awarded contracts for Connecticut highway projects that would supposedly be funded with toll revenue. According to Fasano’s press release, Wilbur Smith Associates estimated a private toll road in Indiana would see an increase in traffic by 22 percent, but instead traffic declined by 11 percent and the firm that owned it declared bankruptcy after amassing $5.8 billion in debt. Similarly, Wilbur Smith over-estimated traffic and revenue projections for the Southern Connector in Greenville, South Carolina. Investors poured $200 million into the newly created toll authority and Wilbur Smith was awarded $12 million in contracts. The toll authority declared bankruptcy when traffic was 50 percent of what Wilbur Smith predicted. Fasano also pointed to an independent review of traffic and revenue forecasts for the Dulles Toll Road in Washington D.C., which found revenue forecasts by Wilbur Smith were overstated by 127 percent. The Republican Senate leader listed numerous other examples in his press release. CDM Smith released a major toll study in 2015 and then reworked the study after a push for toll legislation in 2018 was beaten back by public outcry. 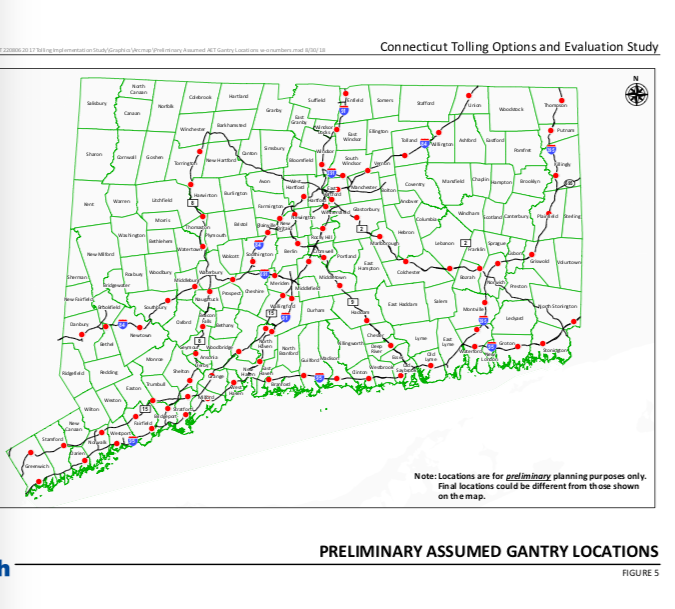 The 2018 toll study released by Connecticut’s Department of Transportation shortly after the November election revised toll rates, the number of gantries and revenue forecasts to account for in-state driver discounts, positing 82 tolling gantries to collect a little over $1 billion in revenue. Gov. Ned Lamont went a step further and proposed 53 tolling gantries on only interstate highways to collect $800 million in revenue. CDM Smith estimates that operating costs for the gantries will cost approximately 10 percent of toll revenue, however, academic studies have found operating costs to be over 30 percent. Tolling consultant and architecture companies like CDM Smith and HNTB have contracted with lobbyists at the state capitol and have received contracts from the CT DOT for millions in consultant and design work. Shouldn’t a conflict of interest of this magnitude cause grave concerns to our legislative leaders and governor? Is this not a huge red flag to all taxpayers that will need to pay the tolls plus potentially bail out the company that manages tolling infrastructure and other administrative costs? At long last someone calling these folk on the carpet. The purpose for the over zealous estimates is to help their employer bankers sell bonds to finance the project. State Route 130 in Texas is prime example – ‘privately funded, it went bankrupt by the time it opened because of a lack of need just like the South Carolina Greenville ‘Southern Connector’. The normal business cycle includes bankruptcies that require public ownership to contract with bankruptcy bankers and auditors and lawyers and such to box up all the assets into equities to be sold (again) on the open market. The game was revealed in 2014 “Thinking Highways” article by Randy Saltzman http://thinkinghighways.com//a-model-scheme/ and numerous others including the 2006 series on Denver Post’s experiences with these came folk. Not much changes – politicians don’t need to tell constituents they voted to increase taxes as long as tolling authorities/companies continue to jack up toll rates. Good job by this Senator!